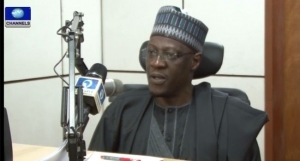 The Kwara State Governor, Abdulfattah Ahmed says the school feeding program by the Federal Government for junior secondary school pupils in Nigeria, will help to stimulate local agriculture support scheme in the country. In an interview with journalists, Gov. Ahmed described the programme as a laudable one which will also boost the human capital development in the education sector and urged states to key into it. Governor Ahmed discussed about the introduction of salary verification exercise and its effect on workers in the state asking them to be patient. He added that the exercise was aimed at completely eliminating ghost workers and that he is determined to carry it to a logical conclusion. The Kwara State Governor also asked critics of the change mantra of the APC administration to look at what is happening in the fight against corruption before criticizing. According to him change is not automatic.